Many know Sir Peter Jackson for his film credits, which include such blockbuster hits as The Lord of the Rings, King Kong, and most recently The Hobbit. What many may not know about the famous Oscar-winning director is that he is an avid fan of aviation, having collected numerous vintage fighter planes from the First World War. The collection is so large that Peter Jackson is on the verge of being the world’s most notable collector of fighter planes. The director is friends with Paul Allen, who has collected over twenty WWII aircraft including a Grumman F6F Hellcat and a Mitsubishi A6M3 Zero. Meanwhile, the director has collected over forty WWI aircraft, including British Sopwith Camels and German Fokker Dr.IDreideckers. In fact, Peter Jackson can comfortably say that he has the largest collection of WWI warplanes on the planet. The director houses his collection near Masterton, New Zealand, where they are kept at the Hood Aerodrome. All of the fighter planes owned by both the director and millionaire Paul Allen are in perfect working condition, easily flyable and well looked after. Most collectors of such vintage aircraft models are usually either aviation museums or pilots who might own a small handful of planes. Most individual pilots might own one or two planes that they are able to fly, while most museums are interested in the planes themselves rather than their flight capabilities. Peter Jackson and Paul Allen are therefore considered to be a “new breed” of collectors who not only purchase and restore large numbers of aircraft, but also ensure that they are flight-ready. Simon Brown, a representative of Platinum Fighter Sales, claims that such private collectors are becoming more and more prominent members of the vintage aircraft market over time, The New Zealand Herald reports. While the director may own the largest WWI aircraft collection, it is not the largest vintage aircraft collection in general. Kermit Weeks, an heir to the oil industry, has more than one hundred aircraft in his Fantasy of Flight collection. In other words, Peter Jackson and Paul Allen combined do not possess nearly as many planes as Weeks. Even so, the director has put together a great collection of WWI warbirds, and he has opted for quality over quantity. Rather than simply collecting as many planes as possible, he has managed to achieve a fair representation of numerous models that were in use during the First World War. 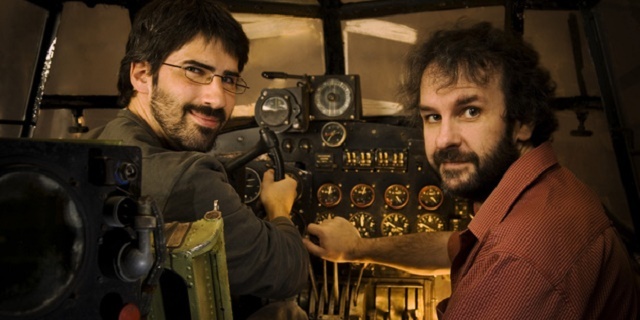 Peter Jackson not only collects WWI fighter planes, but he has ensured their proper condition by ensuring that many of their parts are built from scratch. This is not just an amazing feat; in many ways, it is necessary. Many of these planes had wooden frames covered in cloth, so it can be difficult to find surviving models that are still capable of flight. By using blueprints to create replicas with acute precision and historically accurate materials, Peter Jackson has managed to create new planes for his collection that are still authentically vintage.